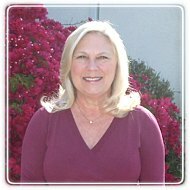 Carlsbad Therapist: Adrienne Levy - Therapist 92008. Send A Message To Adrienne. Session Fees: $150/session. Sliding Scale available for out of pocket clients. Some insurances accepted. There is so much to be gained from consulting a licensed mental health professional when a person feels “stuck” in distress, but has no idea where to begin or how to assist themselves. From the first contact, I help clients feel at ease through the use of understanding, warmth, humor, and acceptance. I create a sense of normalcy about their struggles, and hope for the future, by reformulating their “problems” and conflicts as very real attempts to adapt to life issues and challenges. I assure clients they already have internal resources they might not be aware of, that can be rallied and employed. I teach skills if they were not learned earlier in life, or “fine tune” skills clients are already using, to maximize results they desire. I praise and reinforce the courage and wisdom it takes when a client decides to stop suffering alone and reach out for help. My primary way to work with clients is from an emotion focused, present time, and collaborative approach. I appreciate that childhood experiences can significantly form how we think and act today. I help clients gain experiential, as well as intellectual, insight into how their past may replay over and over in their lives and relationships today, causing them pain. This kind of experiential understanding can be liberating and transformative. A recent addition to my therapy "toolbox" is clinical hypnosis. Over my time in practice, I’ve noticed that clients sometimes remain stuck in a problem pattern even though they have talked about it in therapy, sometimes for years, but do not seem to resolve or move away from it. At times like this, adding an experiential approach like hypnosis can help to unblock a problem in ways that talk alone does not. Experts in the hypnosis field cannot say how hypnosis helps when it does, but they discovered that when people are in a trace-like state, they take in and process information differently than when they just talking about a problem topic. Somehow that can dramatically alter the person's connection to their problem, and free them up to experience a challenge in a new and healthier way. Becoming a licensed therapist is the result of my own quest for deeper meaning in life. Long before that, I received a B.S. in Chemistry with a minor in Secondary Education, that enabled me to teach high school in the NJ/NY/PA tri-state area. For a brief time I worked as a substitute teacher, before taking a job with a major chemical company. I worked there for 4 years in an organic chemistry research lab as an assistant to a Ph. D. chemist. I resigned from that work in 1978 to accompany my husband on a 6 month consulting assignment in Ireland. Afterwards, I worked for 10 years as a volunteer with adults and children at The Catholic Community of Pleasanton, CA, in their Faith Formation Program. I discovered that I loved hearing people's stories and what made them "tick", how they struggle to solve problems or carry burdens during times of duress, or celebrate life's joys and triumphs in better times. That work led me to become a marriage and family therapist. I have been married 42 years and raised 2 children, now 36. I know the struggles associated with being a spouse and parent, while also learning to love and honor myself. I believe my education, training, and experience in teaching serves me well when clients need to learn something new, and can benefit from a little coaching. I feel deep gratitude and satisfaction when I see a client finally "get" something they have wrestled with, maybe for many years, and experience a sense of hope that life can be different and better from what they've known.